The expansion of MET-Rx product lines has made this New York company into a global juggernaut. This organization aims to assist all athletes of all shapes and sizes. When you think of supplement companies, your imagination takes hold. You think of shaker cups, capsules, product labels, sponsored athletes, and so much more. Many of those images are tied to great memories of the muscle-building lore. Think of the world's strongest men and you can't help but envision the signature red label of MET-Rx. The crew of stunning and strong athletes lead the industry. Nicole Wilkins, Greg Plitt, and Nicole Nagrani highlight the team, but MET-Rx is about much more than flawless faces. This is about results. 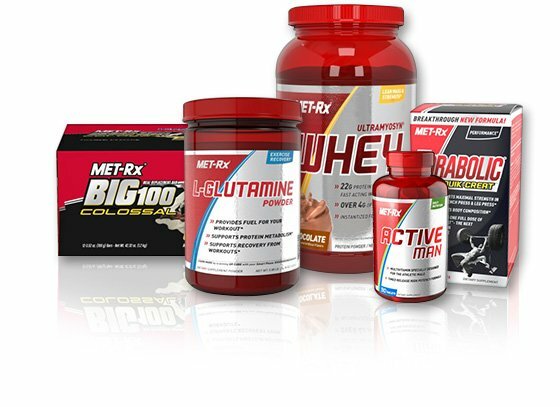 Metrx.com offers training videos, history lessons, and, of course, links to the products that carried this company across the threshold of the millennium and beyond. Reach into your past and remember. Look into the future and prepare. MET-Rx will help you every step of the way. My name is Patrick Cornacchiulo, and I'm the Vice President of Sports Nutrition. I've been working in the industry since 2000. I started my career with Twinlab, and then made the transition to US Nutrition in 2005. Our Big 100 Bars are huge, and the new Protein & Oats is gaining a lot of positive attention as well. Your product list is extensive. How do you keep customers from getting lost in the lists? Our goal is to keep our products organized by need, such as pre-workout, recovery, etc., and to always keep the focus on innovational products. Bringing new items to market has been the key to our success, because our consumers can see that we're giving them what they need to stay at the top of their game. Always! We have several new Protein & Oats flavors that will be coming soon. Also, we have a new pre-workout formula that we're all very excited about. Everything seems to happen online now. How important are your website and your online presence to your overall goals? Our website and our online presence are both extremely important. Our consumers are social athletes, so delivering great content is a major part of our plan. MET-Rx Magazine is an example of our commitment to content. Look for the app. It's great! Do you have any sponsored athletes? If so, how do they impact your company? The industry? We have a whole team of sponsored athletes: Team MET-Rx! Nicole Wilkins, Greg Plitt, Marcus Haley, Nicole Nagrani, Brian Yersky, Justine Moore, Kevin English, Steven Kornfeld and Kimberly Heinz are the athletes who make up Team MET-Rx. Each of them is an example of what a person can accomplish with hard work, dedication, and unwavering commitment. I'd say to always start with our Whey Protein. We make a clean formula that's great tasting, and low in fat. Whey protein should be the foundational supplement for every athlete's regimen. The best thing about the supplement industry is the knowledge we're able to provide to young, competitive athletes. Knowledge is power. And the worst thing about the supplement industry has been, and always will be, the outrageous claims made by smaller supplement manufacturers in an effort to sell products. I think trade shows and expos are somewhat important. I think live competitions are becoming more important as far as the growth of our company. 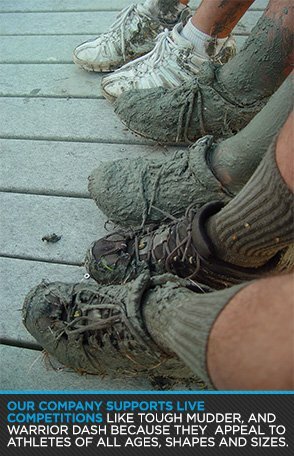 Events like Tough Mudder, Warrior Dash, etc. Those events really appeal to competitive athletes of all ages, shapes, and sizes. What separates your company from all the others in the industry? MET-Rx is a brand that's been around for decades, so I think our history is appealing to our consumers. Also, MET-Rx has an exclusive protein blend, Metamosyn, which revolutionized the sports nutrition industry nearly two decades ago when it was introduced. Metamosyn protein is a highly bio-available fuel that supports muscle and strength, and is featured in our shakes, bars, and supplements. MET-Rx is a name synonymous with quality. We follow strict standards to ensure the best possible products for our athletes and consumers. Appealing to many different types of customers can be difficult. It takes solid research to understand what they want. In fact, we just completed a major study, so you'll see our approach when 2014 rolls around. Does MET-Rx perform its own research? How much will science guide your future? Science is always our guide, and every product we create is based in science, first and foremost. To gather our research, we work with different universities, depending on our exact needs. We understand that supplements are just one part of the transformations and consistency customers seek, but how do you convince them that they need to do more? We love to engage with our customers through our video and magazine content. The focus is that working out and physical fitness are essential to overall health, wellness, and athletic success. We do our best to teach our customers that there is no "magic pill"—that hard work and making time for yourself really does pay off! We've noticed a shift in modern bodybuilding to include competitors of every size. Are you prepared for a broadening definition of "bodybuilding" already? Are your clients? Yes. Our focus has always been, and will continue to be, on the "athlete." And that, of course, means athletes of all shapes and sizes. Gaze into your crystal ball ... where is MET-Rx in 2023? How can you grow? Ten years from now, I'd love to still be at the forefront of the supplement industry, innovating new products all the while. I hope we can continue to grow by delivering the kinds of products and knowledge that will help our consumers continue to advance in their performance. Before we wrap this up, is there anything else you would like to share? Is there anyone you would like to thank or give a shout out to? Where do you go in the future? I'm excited for 2014, we have several new programs being developed and I'm really looking forward to see the results of our latest innovations. Keep your eye on us.